I am a regular guest here and always receive great service. Reasonable prices with CLEAN and comfortable rooms. All staff make me feel most welcome. Dear CHARLES D., Thank you for your comment and rating giving to our hôtel. We are happy to welcome you all the time and we will always try to satisfy you as much as possible. We hope to see you again soon and do no forget we have a gym room for our customers ! Sincerely, Umesh. Dear CHARLES D., We very much appreciate your comments regarding your stay at the ibis Aulnay Paris Nord Expo. It is always a pleasure to receive positive feedback. I will share your comments with our team. I am sure that this feedback will serve as an encouragement to all of our staff as we strive to continuously improve the quality of our services. Thank you again for sharing your experience, and we hope your next visit will be as pleasant as the previous one. Sincerely, Naoëlle. Comfortable one night stay before an early flight from CDG. Dear Guest, Thank you for the great review of our hotel! We are glad that you enjoyed your stay and hope to see you again very soon. Sincerely, Naoëlle. Excellent value in the Paris Region. Bed was very comfortable and room was fine. Only done side was that the WiFi was very poor and could not send emails. Extremely expensive for an IBIS! 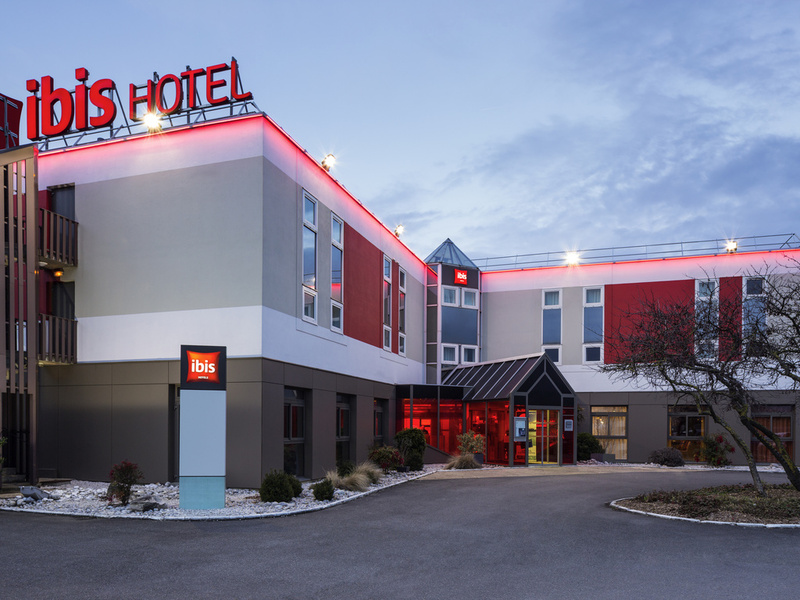 Dear SIMONE M., Thank you for taking the time to tell us about your experience at the ibis Aulnay Paris Nord Expo. I am sorry that your experience did not meet your expectations; please allow me to express my sincerest apologies. At Ibis, we strive to provide a superior service experience for every customer; therefore your feedback is very important to us. Please rest assured that we are taking the appropriate measures to address the problem and prevent future occurrence. We appreciate your sharing your concerns, and it is our hope that you will give us the opportunity to better serve you in the near future. Sincerely, Naoëlle. The manager and staff were tip-top. Very professional, courteous and pleasant. I had an extremely satisfactory stay. The manager availed for me a place to work on. It was very kind of him to do so. Thank you! Dear EDY D., We very much appreciate your comments regarding your stay at the ibis Aulnay Paris Nord Expo. It is always a pleasure to receive positive feedback. I will share your comments with our team. I am sure that this feedback will serve as an encouragement to all of our staff as we strive to continuously improve the quality of our services. Thank you again for sharing your experience, and we hope your next visit will be as pleasant as the previous one. Sincerely, Naoëlle. This hotel looks tired even taking into account the attempt to modernise the interior. Given the isolated location it's also overpriced. No welcome drink on arrival even though I'm a Silver member. Overall not up to the standard I've come to expect from other Ibis hotels. Wouldn't stay here again. Dear Guest, Thank you for the great review of our hotel! We are glad that you enjoyed your stay and hope to see you again very soon. Sincerely, The whole team ibis Aulnay Paris Nord Expo. I had a good stay at this hotel, although the location is not that easily accessible from public transport/walking. The hotel is modern, clean and good value and the staff were very helpful. No suprise when you have your habits under this label. friendly employees. Quiet building- good bed, Beware no restaurant!! Safety parking. Average price but nevertheless a bit expensive for the poor environment around. Hello, we would like to thank you for your compliments and hope to see you again for a future stay! Restaurants are around the hotel and a new restaurant located at the entrance of the hotel is opening soon. Best regards, Naoëlle. Just what the doctor ordered. Perfect for an overnight stay with an early breakfast. We have stayed for a number of years and have been pleased with the hotel. This year, the administration was a lot more efficient which has been a problem in the past. We appreciate very much the ability to have an early (5 am) breakfast and the hotel has all the facilities which we require. It would help to have more than one coffee machine to avoid queues! Wi-fi didn't work. Reception staff in friendly. Everything experienced was perfect, as usual for this hotel ! nice location, secure car park with plenty of spaces. Nice clean hotel with friendly staff. Just what I was looking for for a short stay at very good price, especially considering it's location near main airport and closeness to Paris city centre. Would seriously consider staying here again on my next trip to Paris vicinity.